Kennedy Space Center (KSC) employees have been encouraged to apply for NASA’s latest astronaut class, as the transition from purchased seats on Russian Soyuz vehicles to the International Space Station (ISS), to the fleet of commercial vehicle options in the middle of the decade, and eventually with Orion and the Space Launch System (SLS), picks up. As one of the most popular career choices as a young child, wanting to be an astronaut still holds the same lofty excitement as it always has, despite the retirement of the Space Shuttle fleet from NASA missions. While there has been a level of negative impact to the public’s perception that NASA has given up on the Human Space Flight game, NASA is working on the awareness of the future roadmap for domestic human launches – set to begin no earlier than 2015 – even within their own centers. “Even as we prepare KSC to support human exploration beyond our home planet, NASA is still in the human space flight business, with a permanent crew on the International Space Station (ISS) until at least 2020,” noted a memo sent to the KSC workforce. “That means NASA is going to continue to require astronauts to support ISS operations and provide crew support for development of the Multi-Purpose Crew Vehicle (MPCV) – otherwise known as Orion – and the Space Launch System (SLS) Programs. Orion’s 2017 debut mission will be unmanned, with the first crewed mission on the new NASA vehicle not expected to take place sooner than 2018, and maybe as late as 2021 – depending on the ongoing schedule evaluations. The first domestic launch of a crew into space from US soil will likely be via one of the commercial vehicles, with SpaceX’s Falcon 9 set to launch humans via their Dragon crew capsules by the middle of the decade via the maturing of the NASA’s Commercial Crew Development (CCDev) contracts, which currently has four crewed transport vehicles aiming to transport crews to the International Space Station. Fighting it out with Dragon is Blue Origin’s biconic-shape capsule, which will initially launch with the Atlas V launch vehicle, prior to hitching a lift uphill via its own Reusable Booster System (RBS). 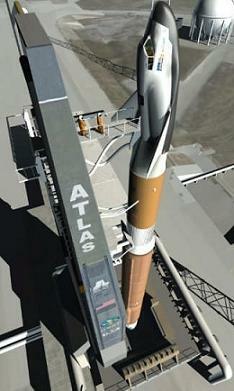 While one of the more popular proposals comes from the Sierra Nevada Corporation (SNC), with their Dream Chaser (DC) Space System (DCSS), given its appearance of a small orbiter. 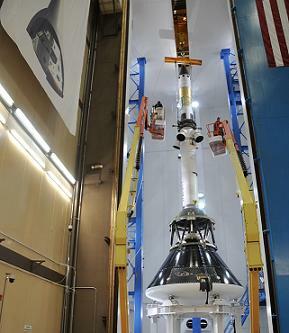 Boeing’s CST-100 capsule, which – like Dream Chaster – is also set to ride atop of an Atlas V launch vehicle, is also in the mix at the CCDev-2 stage, and recently signed a deal to take over one of the Shuttle Orbiter Processing Facilities (OPF-3) to assemble and process the vehicles in a deal with Space Florida. Although the bulk of astronaut training takes place at the Johnson Space Center (JSC), the encouraging of KSC employees to apply is no surprise, especially with KSC Center Director Bob Cabana being a former astronaut himself. Former US Marine Corp Colonel flew four times into space, twice with shuttle Discovery during STS-41 and STS-53 as pilot, prior to flying with Columbia’s STS-65 mission and finally with Endeavour during STS-88 – the latter two as mission commander. A list of requirements were also listed in the memo, showing what remains strict rules on being able to apply to the astronaut class – barriers which will soon be broken down via the onset of commercial space flight, especially in the area of suborbital space tourism. However, if you want the honor of flying as a NASA astronaut, which will also come with the history and esteem that was enjoyed by US citizens over the past 50 years, education, experience and good health are the three key drivers. “Here are some of the basic qualifications: U.S. citizenship. Education: Undergraduate degree in engineering, physical or biological science, or math (may be computer science),” added the memo. The requirements become even stricter if a candidate wishes to fly on the Russian Soyuz – noted as anthropometric requirements. Applications for the latest class will be accepted from this month for an unspecified period of time.